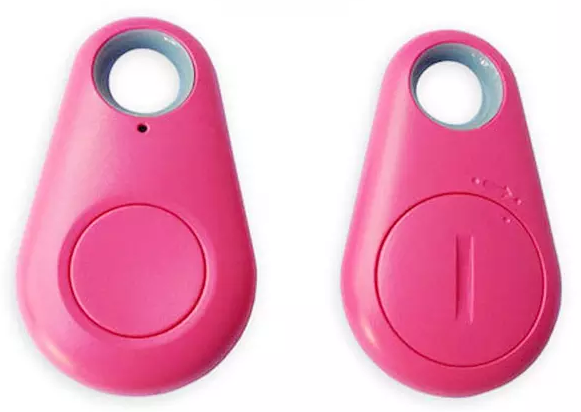 2-Pack: Bluetooth Keychain Finder Fobs For iOS Devices Only $16 Shipped!! You are here: Home / Great Deals / 2-Pack: Bluetooth Keychain Finder Fobs For iOS Devices Only $16 Shipped!! Never loose your keys again! Down from $40! Order the 2-Pack: Bluetooth Keychain Finder Fobs For iOS Devices Only $16 Shipped!! See to it you’re never inconvenienced by lost keys for more than a few seconds with one of these Bluetooth Keychain Finder Fobs. Just simply attach it to your keychain and anytime they are nowhere to be found, all you need to do is pull out your iPhone® or iPad®, and you’ll immediately be made aware of their whereabouts. Problem solved, and you’re able to continue on with your day and onto wherever you need to be! Snap up this super deal and make fretting over misplaced keys a thing of the past.